So you’ve got a lot of waste to dispose of. Maybe you’ve had a new kitchen fitted, you’ve been building a garden shed or you’ve knocked through a wall in your home. Whatever the project you’ve completed, you’ve got a lot of waste to shift. The question is: how are you going to get rid of it? The two most common ways to dispose of waste are either hiring a skip or taking it the tip. But which is better? It’s time for the skip or tip debate! There’s no denying that a skip is far more convenient to use than the tip. 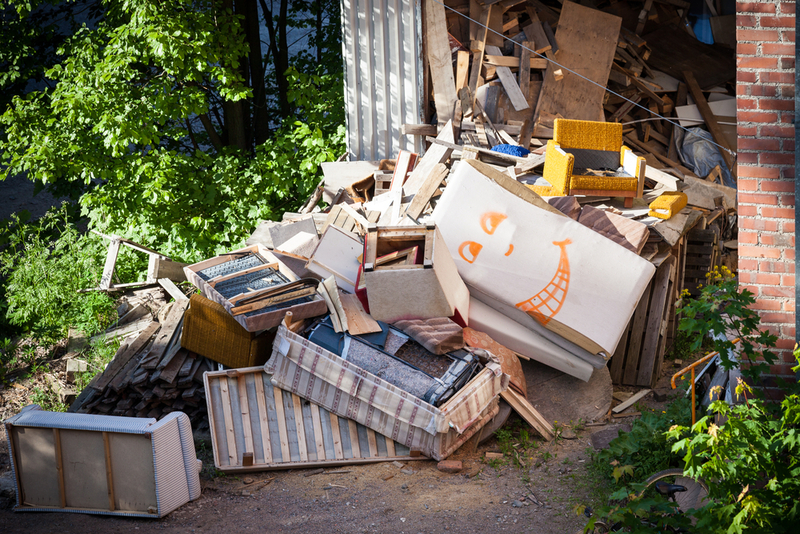 A skip can be placed extremely close to your property and you have access to it 24/7. You also get sole use of it. The tip on the other hand could be miles from your property, meaning you have to transport your waste in your car, driving it miles back and forth from the tip. Plus, you have to share the tip with a raft of other people which can cause queues and delays. If you don’t have access to transportation the use of the tip is pretty much out of the question. When you hire a skip, it gets delivered to your door (as it were) and is removed once you’ve finished using it: complete convenience. Use of the tip is technically free – we’ll give them that. However, if you have a lot of waste to dispose of you may require a lot of trips back and forth. Driving back and forth from the tip, especially if it’s quite a distance away, will not only cost you money in petrol, it will take up a lot of your time too. Some consider the cost of hiring a skip offset by the convenience it brings whilst others disagree. It’s also worth noting that there are some competitive skip hire prices out there. When you have a skip nearby you can quickly and efficiently dump your waste in it by hand. Taking your waste to the tip often involves loading up your car for multiple trips. If you have especially dusty or dirty waste, it can leave your vehicle in a bit of a state. This means you’ll need to allocate extra time and resources for cleaning it out. You can even cause damage to your vehicle with some types of waste. A skip cuts this middle-man out! We’ve tried to be as objective as possible but it seems the skip hire was always going to be victorious! If you’re looking for reliable, cost-effective skip hire in Cheadle or the surrounding areas, get in contact with us at Cheadle Skip Hire today 0161 476 3103.